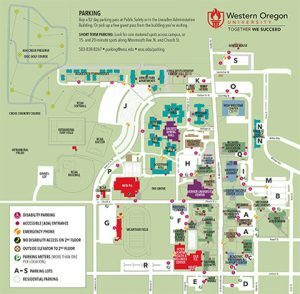 Approximately 2443 individual parking spaces are available on the 157-acre Western Oregon University campus for the convenience of faculty, staff, students and guests. Fifteen paved lots, strategically located, are always open. Metered spaces for guests and short-term parking are marked in each major lot as well as many handicap spots. 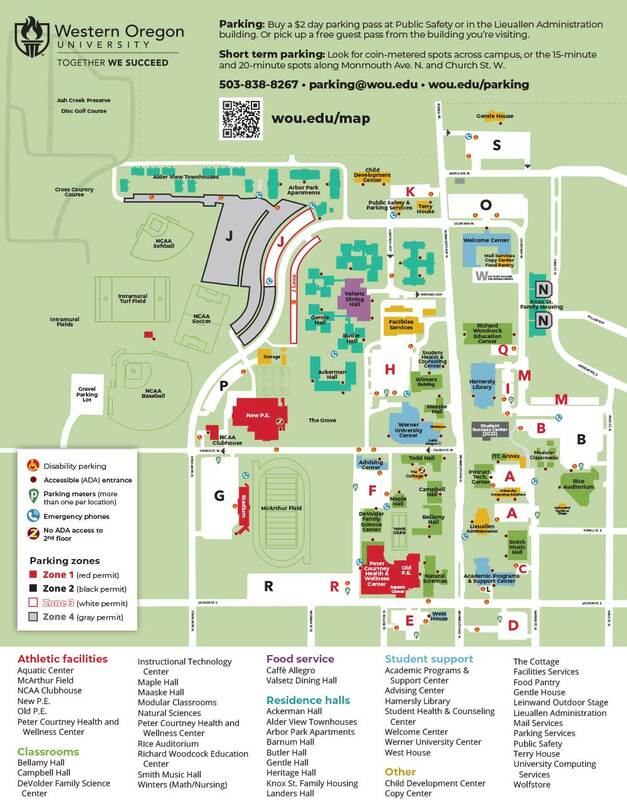 View the parking image, download the pdf, or checkout the campus map and select the Parking category in the legend to determine where the closest lot for your visit is located. If you’re just visiting us for the day (or even a couple of hours), please pickup a guest pass from the department/organization you are are visiting. They are free of charge to campus visitors and can be used in any faculty, staff and commuter parking lot.